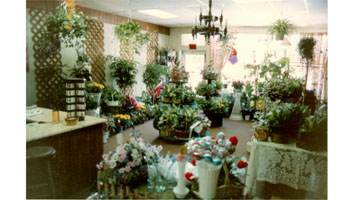 Capitena's Floral and Gift Shoppe LLC is family owned and operated since 1989. Gary Capitena and his professional staff of designers will see to it that you are completely satisfied with each purchase made. Capitena's operates it's own delivery service. Remember to let Capitena's Floral say what's in your heart. Large selection of fresh and silk flowers, plants, planters and balloons. *Our shop is open from 9:00 a.m. to 4:30 p.m., Monday through Friday and from 9:00 a.m. to 11:00 a.m. on Saturday. To help assure on-time delivery during the busy holiday season, place your order at least four days prior to the following major holidays: Thanksgiving Day, Christmas Day, New Year's Day, Valentine's Day, Easter, Administrative Professionals Week, Mother's Day, Memorial Day, Father's Day, Independence Day and Labor Day. If you have any questions or need more information, please contact us by e-mail at capitena@suite224.net or call us directly at (800)900-4484. We're always here to serve you and make your flower-sending experience a pleasure. A delivery fee of $10.95 will be added to each order, for each address in the 44004 zip code. The delivery charge for the other zip codes we service may vary. A service charge of $10.00 will be applied in addition to the delivery charge for any orders that must be transferred to a different floral shop. U.S. orders must be placed before 11:00AM. Monday through Friday, and before 9:00 a.m. on Saturday in the receiptents time zone to assure same-day delivery. Orders received after that time will be delivered the following business day.